I like nitrous. Fun stuff. Makes fast cars go faster. Makes slow cars go faster. The first time I used it on a car, made it seem like someone added an extra turbo to the mix. 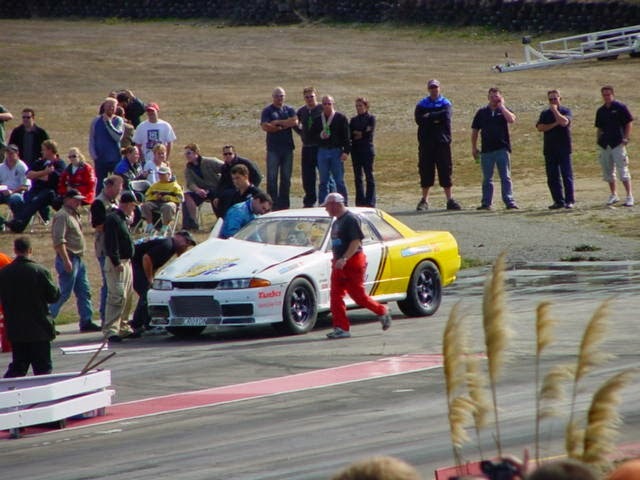 Its also a little on the dangerous side.In this picture, the Croydon Wholesalers R32 Nissan Skyline GT-R just had a nitrous issue. From what I heard, the linelock button was next to the nitrous button, and instead of linelock, the engine got a large spray of nitrous and fuel at idle, causing what we call combustion. This happened on the wrong side of the throttle blades,and hurt a lot of parts. 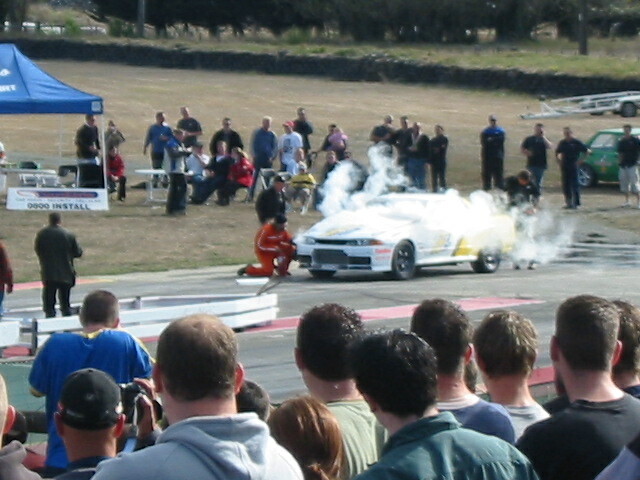 This car did get reparied and went 8.55@165 on DOT tires in Australia. Making it one of the quickest Nissan Skyline GT-R's in the world.